GREAT SELLERS FOR HOBBY SHOPS OR MODELING CLUBS! 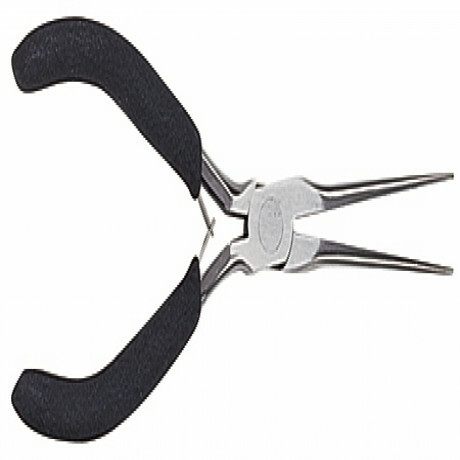 High carbon steel smooth-jaw mini-pliers with polished heads & vinyl coated handles. 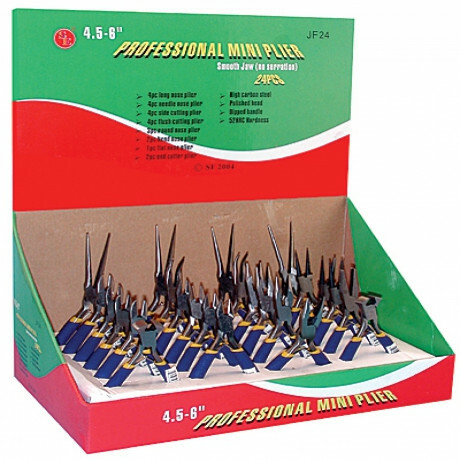 Includes: 4 long nose, 4 needle nose, 4 flush cutting, 3 round nose, 2 bent nose, 2 end cutter & 1 flat nose pliers. 4-1/2" - 6" long. If less than delighted, return your purchase in original condition within 30 days. Model Expo has been serving hobby enthusiasts with precision hobby tools since 1976, and is a hobby tools manufacturer, distributor, and reseller. 5-Pc. Professional Jewelry Pliers Set 3"